DEAL MAY BE FALLING THROUGH DUE TO BUYER FINANCING. 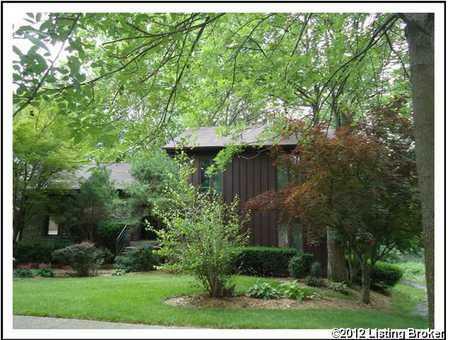 Charming 2,600 Sq Ft home is last home in Douglass Hills at Plainview juncture. Unique and cleverly architectured open floor plan with impressive vaulted ceiling and gorgeous yard. Multiple floor to ceiling banks of windows flood home with natural light. 4 Bedrooms, 3 baths. New Roof, new high efficiency HVAC, new hot water heater, all in 2011; freshly painted 2010. Oh, and try to beat this: see our average monthly utility bill in the attachments section! Basement refinished in 2012. Imaginatively planted, lush, private, lovingly cared for gardens and yard create your secluded get-a-way. Hardwood floors in part of home. Great view from master bedroom with convenient attached master bathroom. Shaded deck off first floor overlooks private back yard; Patio off lower level living room leads directly to back yard. Call for appointment today.